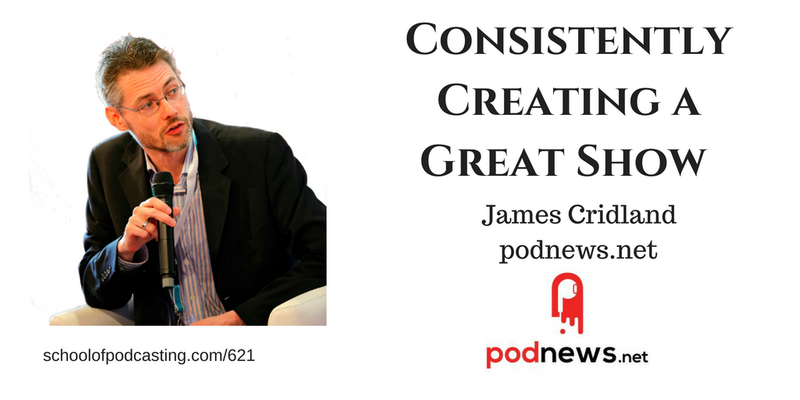 Have you ever thought, “Oh someone is already doing a podcast about my subject.” If so you need to listen to today's show with James Cridland of podnews.net who saw there were other sites and newsletters featuring podcast news, but he thought they were missing something. He had been doing newsletters and working in the radio industry for years, so he decided to start a newsletter (that became a podcast, and an Amazon Flash Briefing) and has really come out ahead of the pack. Today James peels back the curtain on what planning went into the show, and what tools he's using to pull off a daily show. 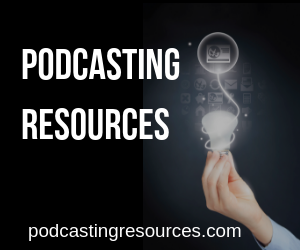 Need Help Getting Your Podcast Going? I got a call last week from Gary Leland was surprised to hear that my peers have selected me to be inducted into the Academy of Podcasters Hall of Fame. I am humbled, honored, and a whole lot of other emotions that I can't quite digest yet. As a person with a radio background, what do you think radio feels about podcasting? But wait, isn't email dead? According to some studies, email is four times more effective at reaching your audience than Facebook. (source) If you are looking for outreach, that may be social, if you're looking to boost sales, or get your audience to click on Something than email is still the king. An article that just came out a few days ago explains how 58% of people “check their email first in the morning vs 11% Facebook and 2% Twitter. 2.6 billion people have email vs 1.7 billion for Facebook. The article states that “It turns out that 77% of consumers prefer email over social media for permission-based promotional messages.” (source). The only problem I have with the article is that it's from option monster who helps you get email sign-ups. The best lead magnet ideas typically come from your audience. It's a question someone asks, and it's a really good question. What problems can you help them solve? What would lessen their stress, save them time, or help them reach a goal? You could make many of these with free tools such a Google Docs and then Save it as a PDF. What Email Service to Use? Many people start out with Mailchimp as it's free. As James said in this episode, if things start taking off it can get expensive quickly. Keep an eye on your subscribers. I'm currently using Convertkit, but to be honest I never used any of the cool marketing tools they have. I should have stuck with Aweber. With that said, as I look into using marketing tools, I've heard a lot of good things about Active Campaign which seems powerful. Ready To Get Your Podcast Going?